Although my title is Chief Strategy officer, my actual work focuses much more on day-to-day management. Don't get me wrong; strategy is vitally important, and ODA has developed a bold strategy. Our challenge now is to bring that strategy to life. What is needed is good old fashioned management: finding a way to excel at getting the work done. What's at stake? In a company like ODA, getting great at management translates directly into a bigger impact on the kids we serve every day. We know that achieving managerial excellence takes effort. It requires a sizable investment in people and processes, and ODA has done just that! Over the past year, we have held professional development training sessions that have focused on what great managers do and how they get the best out of their people. We have also conducted an organization-wide climate survey to help us assess the impact of our managerial procedures and policies. This year will be spent applying what we have learned and developing new practices. But we won't be satisfied until ODA has built a solid managerial foundation from which we can effectively deliver our established strategy: providing best-in-class services to our scholars, alumni, and their families; growing our footprint throughout Greater Cleveland; and advancing our reputation as a national leader in out-of-school education. This year will be an exciting year at ODA! It will set the stage for our continued success empowering youth to break the cycle of poverty, to make wise lifestyle decisions, to engage in positive relationships with their peers, and to develop into responsible, heathy, and successful adults. Join ODA as we welcome Juan Williams, journalist and political analyst for Fox News, to dicsuss the intersection of educaiton, government, and the media. The ODA Speaker Series brings national and international leaders in education and childhood development to Cleveland to discuss the problems and possibilities confronted by our kids every day. Our goal is to enrich, enliven, and deepen the conversation about what these kids need to be successful. Whether these speakers are sharing the experience of children refugees, lambasting the failure to let kids make mistakes, or reflecting on the pursuit of justice for future generations, these thought-provoking speakers challenge all of us to do more for our kids. It's not too late to register! Click here. Oswald Companies investment in Open Doors Academy is felt by employees on both a personal and professional level. Oswald strengthens ODA by working to provide the best retirement plans and benefits packages available. They also support ODA as a presenting sponsor of our upcoming event, the 4th Annual ODA Speaker Series. Oswald Companies support makes a huge impact on ODA and they are truly appreciated! To learn more about this Oswald, click here. ODA's growth over the last several years would not have been possible without the substantial support received from the Cleveland Foundation. In order to impact more kids, ODA has had to strengthen its organizational capacity to provide out-of-school enrichment programming. The Cleveland Foundation has been a partner with us in that endeavor for years. The foundation has supported ODA's efforts to put in place robust and manageable financial structures, development a strategic plan to guide long-term operational and programming goals, and to improve capacity for staffing and human resource needs. The latest work has included developing job competency models, professional development plans, and a compensation matrix. Without the Cleveland Foundation's support, ODA would not be able to serve over 500 kids across its 9 middle school and 4 high school campuses. The foundation's support has helped ODA become a state and national leader in out-of-school education. To learn more about this philanthropic partner, click here. ODA's Euclid Central Middle School Campus has hosted the Open Doors Academy Games for the past two years. Scholars from all thirteen ODA campuses work to be the top campus in various competitions, including basketball shots, a relay race, math, spelling, and a campus cheer created by the scholars. 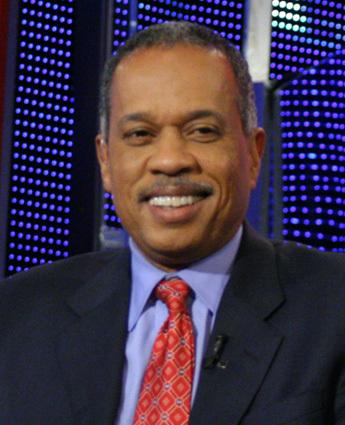 Join ODA as we welcome Juan Williams, journalist and political analyst for Fox News, to dicsuss the intersection of educaiton, government, and the media. Click here to register! Join us at the Ben Stefanski Stadium from 4-7pm for an evening of games, food, community resources, and art! Join us at the ODA offices to learn about ODA and where we are headed.